Cyrenaica is the eastern coastal region of Libya. Also known as Pentapolis ("Five Cities") in antiquity, it formed part of the Roman province of Crete and Cyrenaica, later divided into Libya Pentapolis and Libya Sicca. Ptolemy Apion, the last king of Cyrenaica, left his kingdom to the Roman Republic when he died childless in 96BC. Rome readily accepted this, but preferred to leave the administration to local rulers instead of enforcing direct control. In 63 BC Crete and Cyrenaica were combined into a single province. 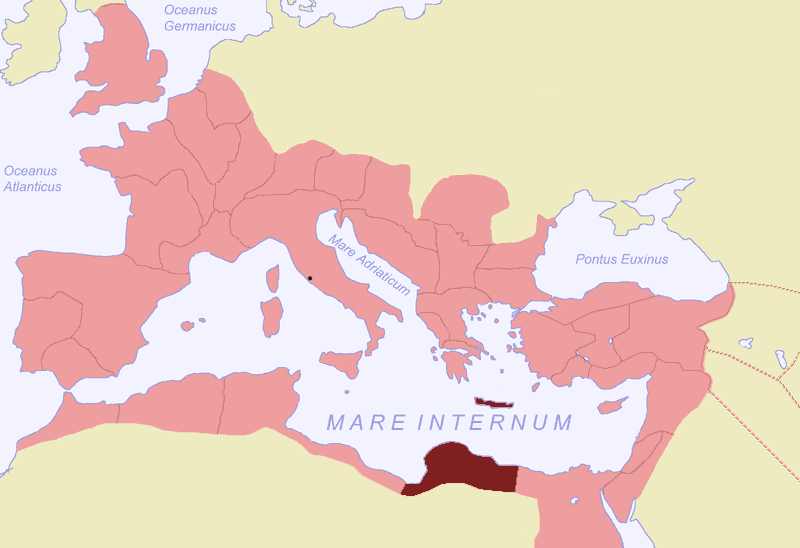 Diocletian divided the province again in 298 AD.